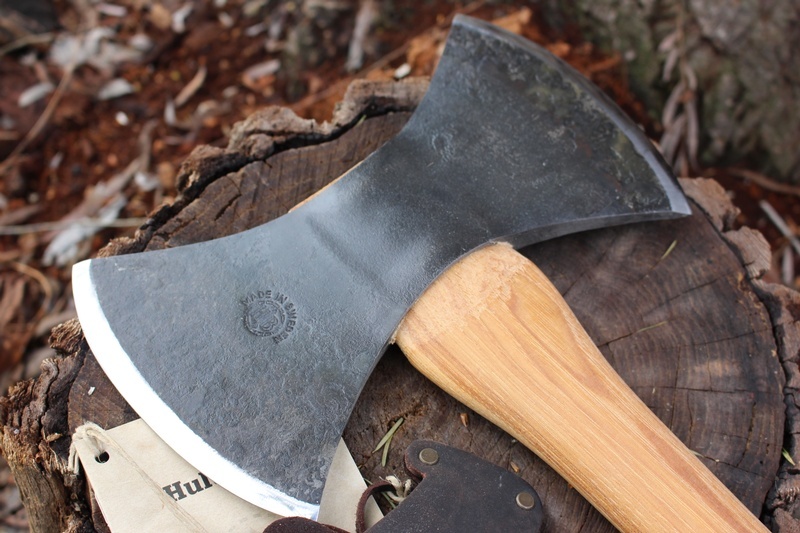 Beautiful and expertly balanced Double bit Axe from Hultafors of Sweden. Handforged High carbon Swedish steel head, with hand ground bevels and quality Hickory handle. Great woodworking and forest work axe in the old Scandinavian tradition, beautifully made in Sweden by the probably the Worlds oldest Axe maker (making since 1697). Comes with leather blade covers. 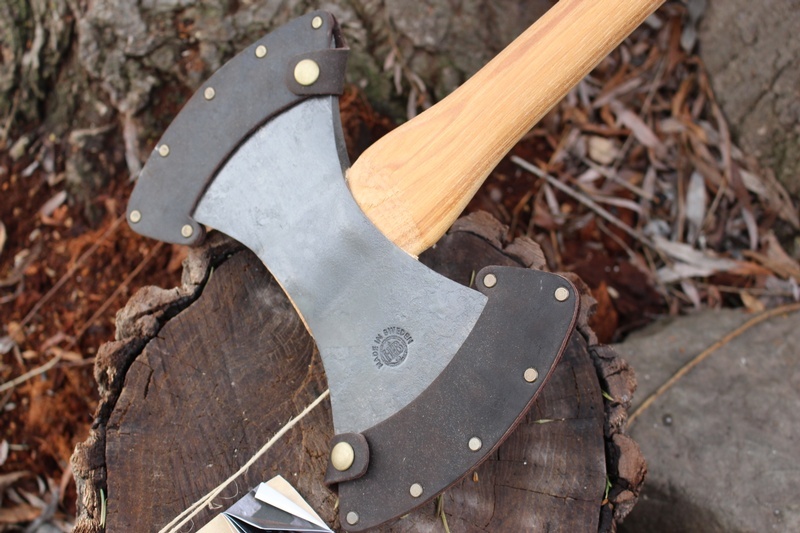 Old English language had a great name for these axes, they called them 'Twibill' meaning Twin beaked or axe with Twin Bills. 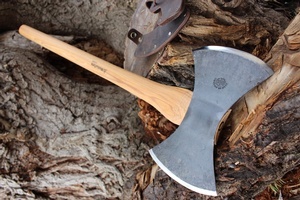 Purchase through PayPal by using the "Add To Cart" button above or use the form below to order the Hultafors Premium Classic Double Bit Axe . 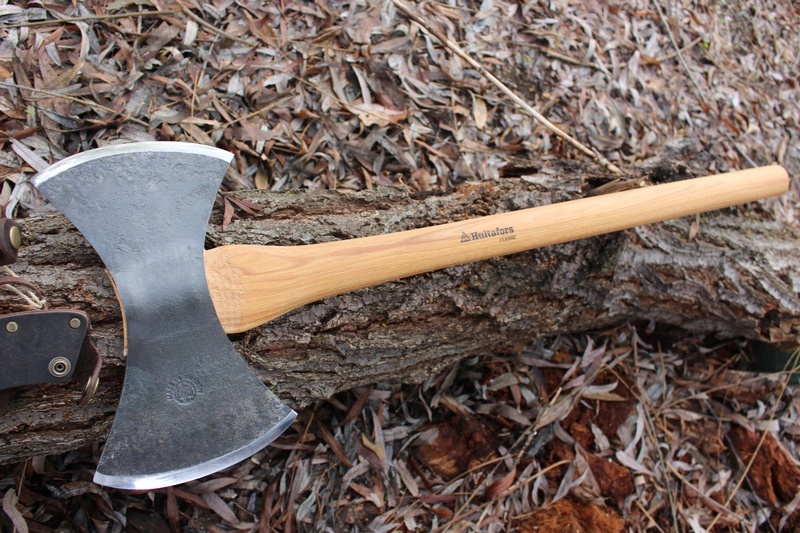 Feel free to contact us if you have any questions about the Hultafors Premium Classic Double Bit Axe .